Do you want to give a gorgeous gift to someone special in your life, this Christmas? 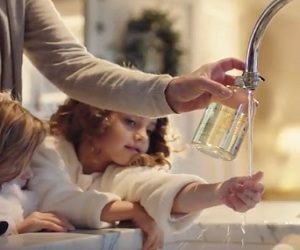 If so, “look no further than Baylis & Harding” – this is the piece of advice given by the brand of luxury bath and body products, in its latest advert, part of the holiday campaign. The 30-second spot features several gift ideas, for both women and men, and Bath & Body Gift Sets, such as the Black Pepper and Ginseng Grooming Trio, the Midnight Fig and Pomegranate Bath and Body Set, the Sweet Mandarin & Grapefruit and others. The song used in the ad is “Thank you for being a friend” by Alyssa Bonagura.